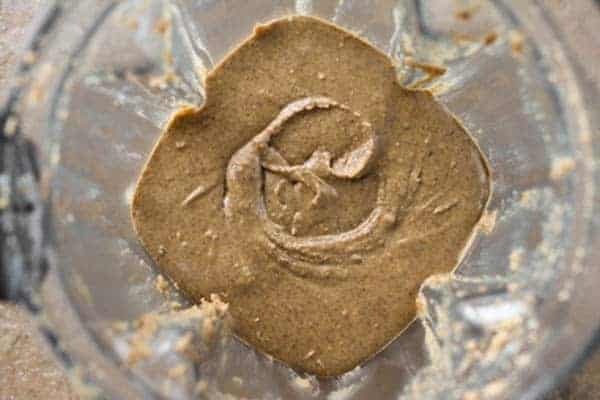 Make your own natural Nut’n Seed Butter. 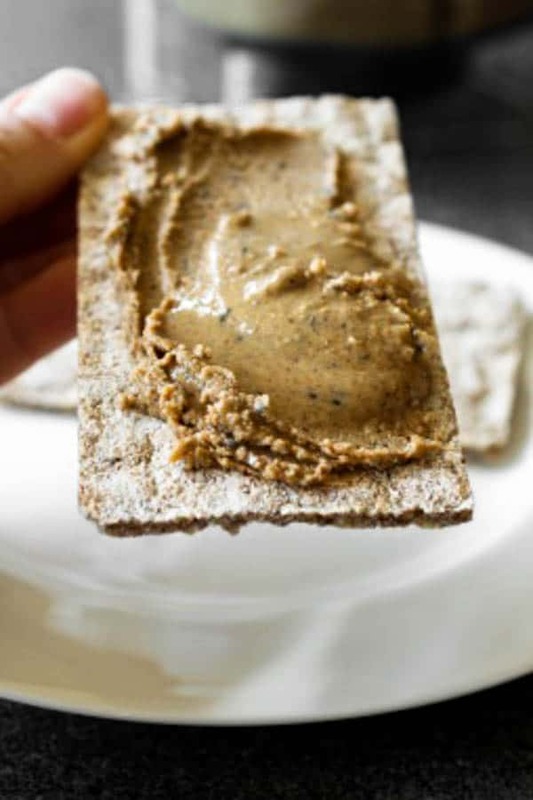 Creamy or crunchy, spread the deliciousness with this recipe! Like milk and cookies, peanut butter and jelly sandwich is a classic. It’s likely one of the first things many of us ever made. Feeding ourselves with a hand-held, super simple, sweet and salty sammy. Yes. Due to the plant-based protein and healthy fats, nuts have a healthy halo. People who regularly eat nuts, about a 1/4 cup or a small handful, appear to have lower weight and waist circumference than those who don’t eat nuts regularly. I’m not talking about honey-roasted or candy-coated, but just plain, roasted nuts. Nuts’ protein help us feel full longer, so we’re less likely to pop something else in our mouth. And the fat in nuts is the heart-healthy unsaturated kind. But still, those fat calories add up. That’s why a serving of nut butter is 2 tablespoons. Peanut allergy is one of the most common food allergies and it’s prevalence has more than tripled in U.S. children. It’s a serious allergy and the National Institute of Allergy and Infectious Disease has new recommendations to prevent peanut allergy. With approval from an allergy specialist, parents may introduce peanuts to babies by 4 to 6 months of age, if they’ve started solid foods. 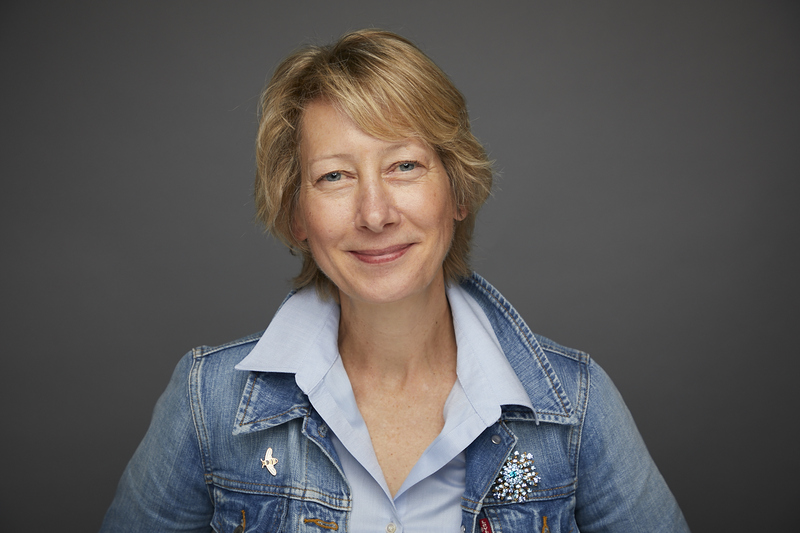 With peanut allergy on the rise, what to do with all that strawberry or grape jam? Many people who suffer with peanut allergy also cannot tolerate tree nuts. 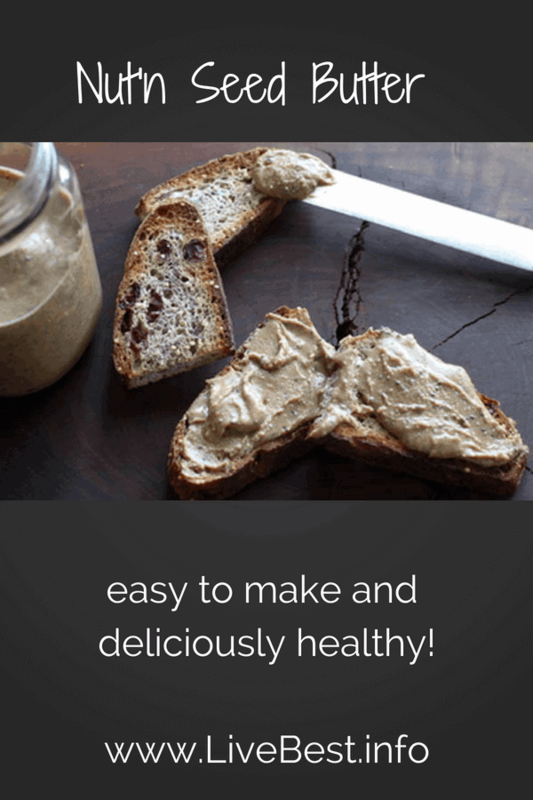 But for those who can… let’s make nut butter! 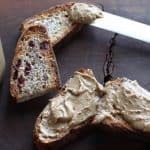 The great thing about making your own is that you can reduce added fat and sugar that is found in most store-bought nut butters. You can also choose you flavor. If you want almond butter, just use almonds. If you want cashew butter, use cashews. I like the mix of nuts in this natural nut butter. Buy nuts in bulk to keep cost down. Choose raw and unsalted nuts. Toast them on a baking sheet in a 350° F oven for 12-15 minutes. If you want crunchier nut butter, scoop out a half cup or so of the chunky butter, continue processing until all ingredients are pretty smooth. Then stir the reserved back in. Nuts can be tough to process. 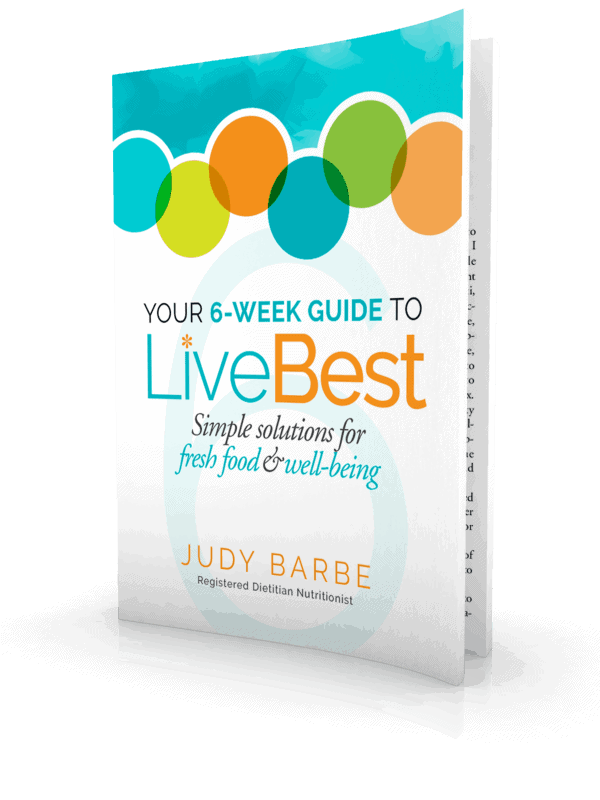 A good blender or food processor can be used. I use a Vitamix blender and it works great, making butter in a just a few minutes. Nuts have a high oil content. Overtime, these oils can become rancid, so nut butter will do that too. Cooler temperatures slows the deterioration. Store nut butter in cupboard for up to 3 months or 6 months in the refrigerator. Store nuts in airtight container in refrigerator for 1 year or freezer up to 2 years. My Nut’n Seed Butter has crunchy in spades. I’m also plain Jane. I like nuts and salt. Though some people like flavors such as chocolate coconut, pumpkin spice, or gingerbread. I love this Nut’n Seed Butter. The variety of nuts provides flavor nuances. The chia seeds add crunch. The salt helps bring out the nuttiness. But even more, is that each nut and seed brings beneficial vitamins, minerals and other plant compounds to the recipe. For those who can enjoy peanuts, the Southern Peanut Growers Association’s website introduces peanut farmers and lots of recipes. 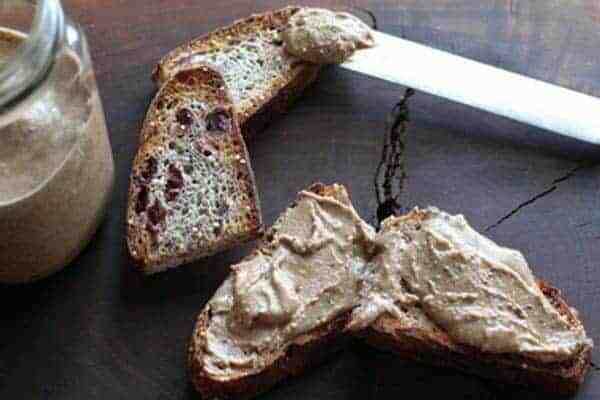 Make your own nut’n seed butter. Creamy or crunchy, you got it. Spread the deliciousness! Nut’n Seeds: Toast nuts in 350° F. oven for 8-15 minutes. 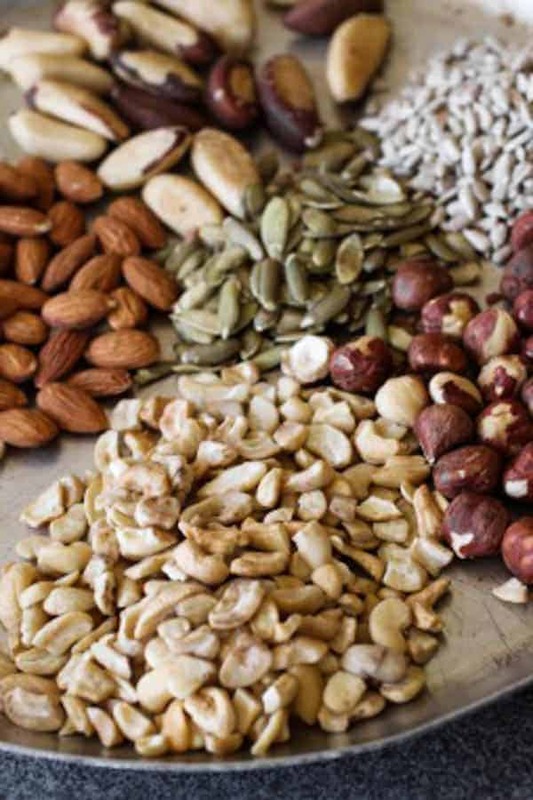 Bigger nuts such as almonds and Brazil nuts take longer than the smaller softer seeds. Blend: Add almonds, cashews, Brazil nuts, hazelnuts, sunflower seeds, pumpkin seeds and flax seeds to blender or food processor. Pulse or blend, stopping to scrape the sides and bottom and push nuts down with a rubber scraper, until desired consistency. This could be 5 to 10 minutes depending on the power of your appliance. The mixture will seem grainy but then develops into a smoother texture. If the mixture seems really dry, drizzle in 1/2 teaspoon oil, such as a nut oil (walnut, almond, sunflower) or canola. Add salt and chia seeds at the end. These should be stirred in so chia seeds don’t pulverize. Spoon into a jar. Refrigerate up to 3 months. I love the flavors and textures of this nut and seed butter. Use any combination that you like: peanuts, cashews, pistachios, pine nuts, pecans, walnuts, macadamias, hazelnuts, Brazil nuts, sunflower, pumpkin, flax.